Top 10 chick names: The final vote!! 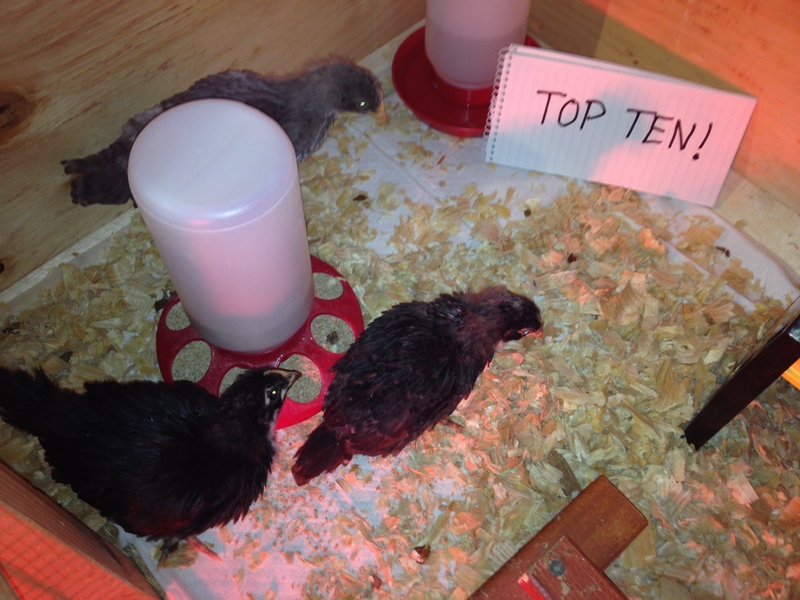 The girls: The Marans (lower left), Gigi (top) and Baby Girl. Excitement is in the air. The birds are fluffing their feathers. And one chick in particular is much, much closer to finding her name. Our Black French Copper Marans can’t contain her excitement. The competition was fierce, and right down to the wire, but we finally have the final choices of chick names. All the entries were lovely, and the top 10 are exceptional. Now it all comes down to you. Please vote for your favorite name. We will keep the polls open for 48 hours, and announce the winning moniker Friday night. ← The names are in! The polls are open. Am somewhat disappointed that PIAF is not a choice. What a great suggestion! I am bummed now that it wasn’t suggested for the poll.